Central Europe had a mirror-image quality after September 1939. For it had not only been Hitler who had ordered his troops to invade Poland. Under the terms of the Nazi-Soviet Pact signed in Moscow that August, Josef Stalin had done the same, on September 17. To conservatives like Duff Cooper or Evelyn Waugh, it seemed a moment of revelation, laying bare the essential identity of the two totalitarian systems, National Socialism and 'socialism in one country'. The signatories themselves appreciated the irony of their partnership. When he flew to Moscow to sign the pact, Ribbentrop had joked that Stalin would 'yet join the Anti-Comintern Pact', Hitler and Mussolini's anti-Communist alliance. Nevertheless, the partition of Poland did not produce exactly identical totalitarian twins. The Soviet zone of occupation was in many respects a mirror image of the German zone but, as with a true mirror image, right and left were transposed. On September 15, several days after the Germans had taken the town, the 29th Light Tank Brigade of the Red Army rolled into Brest. They had seen little action since crossing the frontier, for the Poles had concentrated their efforts on resisting the invasion from the West. Indeed, most of the fighting was over by the time the Soviets arrived on the scene. The demarcation line between the two occupation zones was, under the terms of the Boundary and Friendship Treaty signed ten days later, to pass just to the west of the fortress. After an amicable joint parade, the Germans therefore withdrew back across the River Bug and the Russians took over. On the Soviet side of the line, thirteen million Poles – including 250,000 prisoners of war – were about to discover for themselves the distinctive charms of life in the workers' paradise. The Germans and Soviets had pledged in their latest treaty 'to assure to the peoples living ... in the former Polish state ... a peaceful life in keeping with their national character'. Actions on the German side of the new border had already given the lie to those fine words. The Soviet approach was slightly different. At first, attempts were made to woo a sceptical local populace, many of whom remembered all too clearly the last Soviet invasion of 1920, when the Red Army had advanced as far as the Vistula. Soviet soldiers received as much as three months' salary in advance, with orders to spend it liberally in Polish villages. This honeymoon did not last long, however. Soviet officials lost no time in throwing Poles out of choice apartments in Brest and elsewhere, commandeering them without compensation. Meanwhile, Soviet promises of plentiful jobs in the Donbas region proved to be illusory. Worst of all, Poles soon came to know the Stalinist system of organized terror. 'There are three categories of people in the Soviet Union,' people were told: 'Those who have been in jail, those who are in jail, and those who will be in jail.' Soon Poles began to joke bleakly that the initials NKVD stood for Nie wiadomo Kiedy Wroce do Domu ('Impossible to tell when I will return home'). Incredibly, a substantial number of Polish Jews who had fled East at the outbreak of war sought to be repatriated to the German zone of occupation, not realizing that it was only Volksdeutsche who were wanted. This speaks volumes for their experience of nine months of Russian rule. From Stalin's point of view, the Nazi vision of a Germanized, western Poland, denuded of its social elites, seemed not menacing but completely familiar. Stalin had, after all, been waging war against the ethnic minorities of the Soviet Union for far longer and on a far larger scale than anything thus far attempted by Hitler. And he regarded few minorities with more suspicion than the Poles. Even before the outbreak of war, 10,000 ethnic Polish families living in the western border region of the Soviet Union had been deported. Now the entire Polish population of the Soviet-occupied zone was at Stalin's mercy. Beginning on the night of February 10, 1940, the NKVD unleashed a campaign of terror against suspected 'anti-Soviet' elements. The targets identified in a set of instructions subsequently issued in November of the same year were 'those frequently travelling abroad, involved in overseas correspondence or coming into contact with representatives of foreign states; Esperantists; philatelists; those working with the Red Cross; refugees; smugglers; those expelled from the Communist Party; priests and active members of religious congregations; the nobility, landowners, wealthy merchants, bankers, industrialists, hotel [owners] and restaurant owners'. Like Hitler, in other words, Stalin wished to decapitate Polish society. Esperantists and philatelists are such a menace to society! In the June issue of The Atlantic, sushi concierge and author Trevor Corson highlights the rise of American sushi chefs. Macioge is one of a growing number of successful non-Asian sushi chefs. In 2005, Food & Wine magazine chose as one of its Best New Chefs a Caucasian sushi chef in Texas named Tyson Cole. A few months later, a San Diego chef named Jerry Warner was picked as California’s Sushi Master. Two years ago, one of the most high-profile Japanese restaurants in America, Morimoto, in New York City—operated by Masaharu Morimoto, an “Iron Chef” of Food Network fame—chose as its head sushi chef a young Caucasian named Robby Cook. And this year, one of the most talked-about sushi bars in San Francisco has been Sebo, run by chefs Daniel Dunham and Michael Black. (Black is half-Japanese and spent the first seven years of his life in Japan.) These chefs offer sushi fish so traditional that most Americans have never heard of them—which is why Dunham and Black chat across the fish case with customers about what they’re serving, just like the chefs I remember in Japan. Exactly because these new chefs are rooted in American culture and society, they are well equipped to offer an experience that is, in important ways, authentically Japanese. Consider the case of Marisa Baggett, an African American chef based in Memphis. She told me her goal is to teach Americans in Tennessee and Mississippi to appreciate authentic sushi, but she approaches the task through the local idiom. She educates her customers about traditional sushi etiquette, using clever comparisons to southern manners. And she creates sushi with local ingredients such as smoked duck and pickled okra. This is a fair interpretation of authenticity—in Japanese, the word sushi can refer to just about any dish that includes rice seasoned with vinegar, sugar, and salt. Chefs like Baggett put the lie to claims by Japanese sushi-industry lobbyists that eating endangered bluefin tuna is essential to Japanese culture. Indeed, in Portland, Oregon, the head sushi chef at Bamboo Sushi, a Caucasian named Brandon Hill, has just had his menu certified by conservation groups. Yum. Pickled okra or smoked duck sushi sounds pretty good to me. Pickled pig's feet sushi might not be too bad, either. But let's leave sushi and gravy to Hardee's, shall we? The Summer Grand Sumo Tournament in Tokyo was shaping up to be just another predictable romp by the two Mongolian yokozuna, Hakuho and Asashoryu, until the 14th day, when the Bulgarian ozeki, Kotooshu, toppled Hakuho, knocking him out of the lead and into a tie with the recently promoted Mongolian ozeki Harumafuji (formerly Ama), at 13-1 going into the last day. On the final day, the diminutive Harumafuji returned the favor by defeating Kotooshu, while Hakuho defeated his fellow yokozuna Asashoryu, leaving both leaders tied with records of 14-1. Harumafuji then defeated Hakuho in the final playoff bout to win his first Emperor's Cup. Mongolians now dominate Japan's ancient sport, and Harumafuji is the latest to win a tournament. Hakuho has won 10 and Asashoryu has won 23. No Japanese rikishi has won the Emperor's Cup since veteran ozeki Tochiazuma took it in January 2006. There are now nine Mongolian rikishi in the top Makuuchi division and four more in the Juryo division, plus six more foreign rikishi in the top division: one each from Bulgaria, Estonia, Russia, and South Korea; and two from Georgia. Since February this year, I've been doing a lot more Wikiputtering and Flickring than blogging, thanks to a few stimuli (about which more later) that led me to volunteer to add photos to Wikimedia Commons in order to illustrate as many of the landmarks as I can in Wikipedia's National Register of Historic Places listings in Oahu. Well, one thing led to another, and now I'm editing or creating Wikipedia entries for some of those properties and for some of the architects who designed them. In the process, I've learned a lot more about how WikiProject teams work, and a hell of a lot more about the local history and architecture of Oahu. While I don't believe that people can't see what they can't name (an extreme version of the Sapir-Whorf hypothesis), I readily agree that linguistic categories help assign social significance to our perceptions. In fact, that's what my little Wordcatcher Tales are all about. So here goes another. 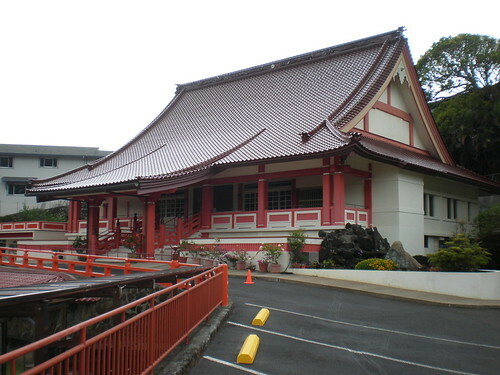 By way of introduction, I have to confess that I have known the Japanese word yane ‘roof’ from when I was a child, but that it somehow never occurred to me—growing up subliterate in one of my childhood languages—to wonder about its etymology: 屋根 ‘house-root’, a roof over one’s head being the most basic of housing requirements. A more comprehensive list of glosses for 屋 ya would include ‘roof, house, shop, dealer’. One of my favorite examples of the last gloss in the list is 何でも屋 nandemoya ‘(whateverer, dealer in whatever =) jack of all trades’. 入母屋 irimoya ‘entrance-mother-roof’ – It was photographing and then creating a separate Wikipedia entry for Hawaii Shingon Mission that sucked me into a miniresearch project on Japanese roof styles, especially the 入母屋 irimoya style, which seemed at first exotic but turns out to be pan-Buddhist, according to Japanese Wikipedia, which includes images from China, India, Korea, and Laos, and also mentions Indonesia, Thailand, and Vietnam. The irimoya is a hip roof (sloping down on all four sides) integrated with a gable roof over the central portion. So it can be glossed as a hip-and-gable, gablet, or (more ambiguously) Dutch gable roof. 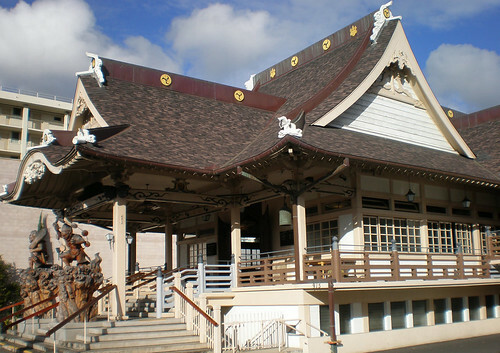 According to JAANUS, the gabled part covers the central 母屋 moya ‘mother-hall’, while the hipped part covers the eaves (廂 hisashi) that shelter the corridor that often surrounds one of more sides of the main hall. So perhaps the 入 iri ‘enter’ refers to the portion of the roof that extends over the potential entrance ways. 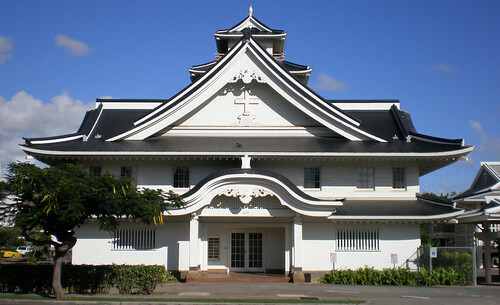 錣葺 shikorobuki ‘neckguard-thatch’ (also 錣屋根 shikoroyane ‘neckguard-roof’) – A related hip-and-gable roof style consists of a central gabled roof surrounded by a separate protective hip roof. On samurai helmets, the shikoro is the extension that protects the nape of the neck (which I've also seen translated as havelock). One can see how the shikorobuki style might be easier to build than the irimoya style when working with thatch, but 葺 fuki no longer means just ‘thatch’. Now it applies to any roofing material, so that 葺き替える fuki-kaeru (‘roofing-change’) is much more likely these days to mean ‘retile’ or ‘reshingle’ than ‘rethatch’. The term Sudetenland was not much used before the 1930s. At the end of the First World War an attempt had been made to associate the predominantly Germanophone periphery of Bohemia and Moravia with the new post-imperial Austria by constituting Sudetenland as a new Austrian province, but this had come to nothing. The Germans who found themselves under Czechoslovakian rule after the First World War – they accounted for over a fifth of the population, not counting the mainly German-speaking Jews – had at no time been citizens of the Reich of which Hitler was Chancellor. They were first and foremost Bohemians. The role of Bohemia in the evolution of National Socialism had nevertheless been seminal. It had been there that, before the First World War, German workers for the first time defined themselves as both nationalists and socialists in response to mounting competition from Czech migrants from the countryside. It had been in Bohemia that some of the most bitter political battles in the history of inter-war Czechoslovakia had been fought, over issues like language and education. The industrial regions where German settlement was concentrated were hard hit by the Depression; Germans were over-represented among the unemployed, just as they were under-represented in government employment. On the other hand, Czechoslovakia was unusual in Central and Eastern Europe. It was the only one of the ‘successor states’ that had arisen from the ruins of the Habsburg Empire that was still a democracy in 1938. It also occupied a strategically vital position as a kind of wedge jutting into Germany, dividing Saxony and Silesia from Austria. Its politics and its location made Czechoslovakia the pivot around which inter-war Europe turned. The first and greatest weakness of Chamberlain's foreign policy was that by accepting the legitimacy of ‘self-determination’ for the Sudeten Germans, it implicitly accepted the legitimacy of Hitler's goal of a Greater Germany. Chamberlain's aim was not to prevent the transfer of the Sudeten Germans and their lands to Germany, but merely to prevent Hitler's achieving it by force. * ‘I don't see why we shouldn't say to Germany,’ so Chamberlain reasoned, ‘give us satisfactory assurances that you won't use force to deal with the Austrians and Czecho-Slovakians and we will give you similar assurances that we won't use force to prevent the changes you want if you can get them by peaceful means.’ His comparison with the English settlers in the Transvaal on the eve of the Boer War said it all; Chamberlain did not mean to imply that a war was likely, but that the German demands for the Sudetenlanders were as legitimate as his father's had been for the Uitlanders. To use a different analogy, it had taken generations for British Conservatives to reconcile themselves to the idea of Home Rule for the Irish; they conceded the Sudeten Germans' right to it in a trice. Since Versailles, Germany had been aggrieved. The transfer of the Sudetenland was intended to redress her grievances in what Chamberlain hoped would be a full and final settlement. * The ‘Uitlanders’ (Afrikaans for ‘foreigners’) were the British settlers who had been drawn to the Transvaal by the discovery of gold. They were treated by the Boers as aliens, furnishing the British government with a pretext for intervention in the region. Joseph Chamberlain, the arch-enemy of Home Rule for Ireland, demanded ‘Home Rule for the Rand’, meaning that the Uitlanders should be granted the vote after five years’ residence. What was more, Hitler gained immediately from Munich. With Czechoslovakia emasculated, Germany's eastern frontier was significantly less vulnerable. Moreover, in occupying the Sudetenland, the Germans acquired at a stroke 1.5 million rifles, 750 aircraft, 600 tanks and 2,000 field guns, all of which were to prove useful in the months to come. Indeed, more than one in ten of the tanks used by the Germans in their Western offensive of 1940 were Czech-built. The industrial resources of Western Bohemia further strengthened Germany's war machine, just as the Anschluss had significantly added to Germany's supplies of labour, hard currency and steel. As Churchill put it, the belief that ‘security can be obtained by throwing a small state to the wolves’ was ‘a fatal delusion’: ‘The war potential of Germany will increase in a short time more rapidly than it will be possible for France and Great Britain to complete the measures necessary for their defence.’ ‘Buying time’ at Munich in fact meant widening, not narrowing, the gap that Britain and France desperately needed to close. To put it another way: it would prove much harder to fight Germany in 1939 than it would have proved in 1938. Today's Wall Street Journal offers a few glimpses of what Zhao Ziyang's posthumously published secret journal reveals about the evolution of his thinking. Both the English and Chinese editions are due to appear just in time for the 20th anniversary of the violent crackdown in Tiananmen Square on 4 June 1989. Zhao's memoirs provide a rare insider's view of debates among Chinese leaders, and they indict the Communist Party's monopoly on power and the statist economic model. Zhao was initially a supporter of "soft authoritarianism." But he understood the importance of economic reforms, which he implemented as a leader in Guangdong and then Sichuan province. His policies, which included giving land rights to farmers and lifting state production quotas, were so immediately successful that a popular description became, "If you want to eat, look for [Zhao] Ziyang." Zhao also opened up the eastern coastal region to trade and development. Only after his house arrest did Zhao conclude that a truly free economy also requires political liberalization, particularly a free press and independent judiciary. "If a country wishes to modernize, not only should it implement a market economy, it must also adopt a parliamentary democracy as its political system," he wrote in his memoirs. This represented a shift in his thinking. "I once believed that people were masters of their own affairs," he wrote, "not in the parliamentary democracies of the developed nations in the West, but only in the Soviet and socialist nations' systems with a people's congress ... This, in fact, is not the case. The democratic systems of our socialist nations are all just superficial; they are not systems in which the people are in charge, but rather are ruled by a few or even a single person." The WSJ's Sky Canaves reports on how the book came about. Analysts said that there is no doubt that the recordings are genuine — a major coup since previous “insider” accounts of the Tiananmen incident suffered from doubts on their authenticity. “It was very prudent to record his memoirs on audio tapes. Even if you write it down, people can dispute if it was really his words. But when you hear his voice, it is definitely genuine,” said China elite politics watcher Bo Zhiyue of Singapore’s East Asian Institute, who had heard parts of the recordings uploaded online. Hong Kong-based analyst Ong Yew Kim was struck by Zhao’s revelations that former paramount leader Deng Xiaoping was not truly interested in democratisation. Zhao presses the case that he advocated the opening of China’s economy to the world and Deng did not always fully support such moves. “Many people had termed Deng a reformist. But now we know that his talk about democracy was just empty slogans,” he added. But Dr Bo cautioned that it is premature to dismiss Deng’s role in China’s reform policies. “Zhao Ziyang said he started the agriculture reform in Sichuan province. That is fair. But Wan Li did likewise in Anhui province and Deng brought both of them to Beijing,” he said, referring to a former vice-premier. And one of the translators and editors of the English edition, Bao Pu, describes the lead-up to Tiananmen. The tragic turning point toward violence came when Mr. Li [Peng] maneuvered to publish Deng's harsh comments about the protestors in a People's Daily editorial on April 26. At this point, Mr. Li may only have boosted the antiliberalization agenda, and not foreseen the scale of the tragedy to come. When Zhao first heard of Deng's remarks while on a state visit to North Korea, he wrote, "my first thought was that another campaign against liberalism might begin." But much to the government's surprise, the students were shocked and insulted by the defamation of their motives and responded with the April 27 demonstrations, the biggest spontaneous student protest ever in modern China's history. Zhao observed at this time "even the symbol of the paramount leader had lost its effectiveness." For obvious reasons, we tend to think of the years from 1933 to 1939 in terms of the origins of the Second World War. The question we customarily ask is whether or not the Western powers could have done more to avert the war – whether or not the policy of appeasement towards Germany and Japan was a disastrous blunder. Yet this may be to reverse the order of events. Appeasement did not lead to war. It was war that led to appeasement. For the war did not begin, as we tend to think, in Poland in 1939. It began in Asia in 1937, if not in 1931, when Japan invaded Manchuria. It began in Africa in 1935, when Mussolini invaded Abyssinia. It began in Western Europe in 1936, when Germany and Italy began helping Franco win the Spanish Civil War. It began in Eastern Europe in April 1939, with the Italian invasion of Albania. Contrary to the myth propagated by the International Military Tribunal at Nuremberg that he and his confederates were its only begetter, Hitler was a latecomer to the war. He achieved his foreign policy objectives prior to September 1939 without firing a shot. Nor was it his intention to start a world war at that date. The war that broke out then between Germany, France and Britain was nearly as much the fault of the Western powers, and indeed of Poland, as of Hitler, as A. J. P. Taylor contended forty-five years ago in The Origins of the Second World War. Yet Taylor's argument was at best only half-right. He was right about the Western powers: the pusillanimity of the French statesmen, who were defeated in their hearts before a shot had been fired; the hypocrisy of the Americans, with their highfaluting rhetoric and low commercial motives; above all, the muddle-headedness of the British. The British said they wanted to uphold the authority of the League of Nations and the rights of small and weak nations; but when push came to shove in Manchuria, Abyssinia and Czechoslovakia, imperial self-interest trumped collective security. They fretted about arms limitation, as though an equality of military capability would suffice to avoid war; but while a military balance might secure the British Isles, it offered no effective security for either Britain's continental allies or her Asian possessions. With withering irony, Taylor called the Munich agreement a 'triumph for British policy [and] ... for all that was best and most enlightened in British life'. In reality, war with Germany was averted at the price of an unfulfillable guarantee to the rump Czechoslovakia. If handing the Sudetenland to Hitler in 1938 had been the right decision, why then did the British not hand him Danzig, to which he had in any case a stronger claim, in 1939? The answer was that by then they had given another militarily worthless guarantee, to the Poles. Having done so, they failed to grasp what Churchill saw at once: that without a 'grand alliance' with the Soviet Union, Britain and France might find themselves facing Germany alone. As an indictment of British diplomacy, Taylor's has stood up remarkably well to subsequent scholarship – though it must be said that he offers few clues as to why Britain's statesmen were so incompetent. Where Taylor erred profoundly was when he sought to liken Hitler's foreign policy to 'that of his predecessors, of the professional diplomats at the foreign ministry, and indeed of virtually all Germans', and when he argued that the Second World War was 'a repeat performance of the First'. Nothing could be more remote from the truth. Bismarck had striven mightily to prevent the creation of a Greater Germany encompassing Austria. Yet this was one of Hitler's stated objectives, albeit one that he had inherited from the Weimar Republic. Bismarck's principal nightmare had been one of coalitions between the other great powers directed against Germany. Hitler quite deliberately created such an encircling coalition when he invaded the Soviet Union before Britain had been defeated. Not even the Kaiser had been so rash; indeed, he had hoped he could avoid war with Britain. Bismarck had used colonial policy as a tool to maintain the balance of power in Europe; the Kaiser had craved colonies. Hitler was uninterested in overseas acquisitions even as bargaining counters. Throughout the 1920s Germany was consistently hostile to Poland and friendly to the Soviet Union. Hitler reversed these positions within little more than a year of coming to power. It is true, as Taylor contended, that Hitler improvised his way through the diplomatic crises of the mid-1930s with a combination of intuition and luck. He admitted that he was a gambler with a low aversion to risk (‘All my life I have played va banque’). But what was he gambling to win? This is not a difficult question to answer, because he answered it repeatedly. He was not content, like Stresemann or Brüning, merely to dismantle the Versailles Treaty – a task that the Depression had half-done for him even before he became Chancellor. Nor was his ambition to restore Germany to her position in 1914. It is not even correct, as the German historian Fritz Fischer suggested, that Hitler's aims were similar to those of Germany's leaders during the First World War, namely to carve out an East European sphere of influence at the expense of Russia. Hitler's goal was different. Simply stated, it was to enlarge the German Reich so that it embraced as far as possible the entire German Volk and in the process to annihilate what he saw as the principal threats to its existence, namely the Jews and Soviet Communism (which to Hitler were one and the same). Like Japan's proponents of territorial expansion, he sought living space in the belief that Germany required more territory because of her over-endowment with people and her under-endowment with strategic raw materials. The Mercenaries and Military Manpower blog got underway with a multipart review (still unfinished) of Mercenaries: The History of a Norm in International Relations by Sarah Percy (Oxford U. Press, 2007), which latter appears to be rather too Eurocentric, leading the reviewer to summarize the vicissitudes of mercenary use in the history of China. The following excerpt omits notes and references. For over two thousand years, Chinese mandarins trained in the Confucian classics often shared an ideological preference for conscription of farmers rather than the employment of foreigners to fill the ranks of the Middle Kingdom’s armies, but despite this, they very frequently employed nomadic warriors from their borderlands during times of crisis, or whenever they felt it was necessary, regardless of idealistic norms. Even in the mid-nineteenth century, when Chinese court officials dreamed of raising hundreds of thousands of farmer-soldiers to fight the Taiping rebels, hard-headed realists such as Zeng Guofan realized the need to employ well-trained, well-paid troops rather than temporarily mustered militias, and it was with these professional troops whose loyalty was primarily to their paymasters rather than to the Chinese state, who were most effective in defeating the huge Taiping armies. In cities like Shanghai, merchants and other wealthy notables employed foreign mercenaries to establish what came to be called “The Ever Victorious Army,” which also played an important part in defeating the Taiping rebels. What impact did the anti-mercenary norm of Chinese mandarins have on the composition of the armies in the nineteenth century? It delayed an effective response to the almost fatal threat to the Taiping army, and it failed to prevent a switch from reliance on almost completely ineffective hereditary soldiers and amateur militiamen to well-paid local or foreign mercenary soldiers. At the turn of the twentieth century, the venerable ‘founding father’ of both Communist China and Taiwan, Sun Yatsen, used money collected from numerous overseas Chinese communities to hire mercenaries to launch numerous attacks on Chinese imperial outposts that he hoped would spark a revolution. After the 1911 Revolution finally toppled the Qing dynasty, Sun Yatsen felt compelled to employ mercenaries once again to establish and maintain a local government in southern China which he hoped to use as a base to unite China again, in the form of a republic. It was only when the Chinese communists finally united the country in 1949-50 and imposed a monopoly on the use of force, that the market for military labor declined sharply in China. The anti-mercenary norm of Chinese mandarins has never effectively or permanently prevented the use of professional soldiers or mercenaries during crises in Chinese history. When new dynasties won ‘the Mandate of Heaven’ and expanded to impose their monopoly on the use of force over large territories, or when governments face serious rebellions, they frequently used mercenaries. Once empires stopped expanding and stability was achieved, the employment of mercenaries diminished. When empires disintegrated, mercenaries flourished. The fluctuating use of mercenaries in the history of China, a country whose leaders have frequently shared an ideological hostility to the use of mercenaries, supports the view that, when states face military crises, anti-mercenary norms do not prevent the turn to a more realist policy of hiring whoever they can, if need be, to address the challenge at hand. To ignore such evidence and restrict one’s vision to Europe since the 12th century is very problematic, to say the least, for a book making theoretical claims about the impact of norms in international relations. My historian brother has been doing a lot of research on Mercenaries and Military Manpower in world history. He's started a blog on the topic, but has been too busy with other projects (and too fond of footnotes) to post much yet. When I stumble across new sources that might interest him (like my previous two blogposts), I let him know. Here's one I came across in an unlikely source, the venerable Archives of Asian Art, which has finally made its debut in JSTOR. Of course, he had already heard of the central figure, but the Wikipedia entry for her is so long-winded, poorly written, and poorly documented that I thought I would post her biography as presented by UC Berkeley art historian Alka Hingorani, in her article entitled "Artful Agency: Imagining and Imaging Begam Samrū" in Archives of Asian Art LIII(2002-2003):54-70. Begam Samrū was born Farzānā, in 1750/51 C.E., to an impoverished Arab nobleman who died when she was still very young. Events and circumstances led her and her mother to Delhi, battle-weary in the mid-eighteenth century. They arrived about 1760 C.E., and from all accounts her early years in Delhi were spent at a courtesan's home, where she reputedly grew into an exceptionally beautiful and talented woman. The second half of the eighteenth century in Delhi has been referred to as "gardi ka waqt," or the "time of troubles." Nādir Shāh of Persia and Ahmad Shah Abdālī of Afghanistan had mauled the Mughal Empire and the Maratha Confederacy, and by the 1760s Delhi was licking its wounds. A substantial indigenous resurgence seemed unlikely. The Jats were baiting the Marathas, and the British were trying to keep both in check. Several smaller powers were beginning to elbow for space as the larger ones lost control of the north Indian region. Increasingly, the Mughals, Marathas, and British were finding it necessary to share power with chiefdoms. In this widening field the smaller contestants whose military means were inadequate to their ambitions often had to resort to foreign military adventurers. General Walter Reinhardt, Austrian mercenary and free lance, was one such adventurer. Having variously served the British, the French, and the Jats, he was desperately seeking employment in the Mughal court, since his last service to the French had left the British hot in his pursuit. With four battalions and a few cannons at his disposal, he was offering his services to the nearest employer of ample purse and sufficient political clout to afford protection against the British: a fairly typical scenario for the time. While in Delhi he apparently took a fancy to Farzānā, who became his concubine, or begam, as she chose to style herself. Their association appears to have been intense, both personally and politically, and lasted until his death in 1778. By this time "Le Sombre," the sobriquet conferred upon the saturnine Reinhardt by earlier associates, had become Indianized to "Samrū." Upon his death Samrū ki begam, "the wife of Samrū," took his sobriquet as her name and began to be called Begam Samrū. This slippage of identity, made possible by her intimate association with Reinhardt, was facilitated by their obvious close military and political partnership. At the court of the Mughal emperor, Shāh Ālam, she had taken active part—directly and indirectly—in the maneuvering for power, in order to benefit her "husband." They had shared years in camp as he led his forces against the Marathas and other powers, and she was his ally—a brave soldier and a crafty strategist—as much as his mate. Begam Samrū also enjoyed enormous favor at Shāh Ālam's court for another critical reason: on several occasions in the 1780s she had acted to save his life, often at some risk to her own. On one occasion she secured his release from Ghulām Qādir, the Rohilla chief, who had gained control of the palace and had imprisoned and tortured the old emperor. Another rescue took place when the blind and enfeebled emperor, who had joined the battlefield himself to bring a rebellious vassal to heel, was almost defeated due to indiscipline amongst his own forces. General laxity and indiscipline in the imperial army had endangered the emperor's life more than once, and Begam Samrū had repeatedly brought her troops and artillery to his rescue. Considering these heroic benefactions, even though Walter Reinhardt had left a grown son—Zafaryāb Khan—by another Muslim woman, Begam Samrū's position as heir to his authority was never in serious jeopardy. An unremitting attention to the cultivation of the lands, a mild and upright administration, and care for the welfare of the inhabitants, has enabled this small tract to yield a revenue of ten lakhs of rupees per annum (up from six).... A fort near the town contains a good arsenal and foundry for cannon. Five battalions of disciplined sepoys, commanded by Europeans of different countries...and about 40 pieces of cannon of various calibres, constitute the force kept up by the Begam Samrū. With these and about 200 Europeans, principally employed in the service of artillery, she is enabled to maintain a respectable position among the neighbouring powers. As John Lall also asserts, "It was a remarkable achievement for a single woman, more than ten years after Najāf Khān's (her protector's) death when Shāh Ālam was being blown like a weathercock with every change in the precarious balance of factional power. To be useful to him, she had to be capable not just of maintaining herself in power but also of intervening effectively in the affairs of the time." In her long career she overcame many adversities, including a near-revolt among her troops brought about by her second, secret marriage to a Frenchman, an insurrection provoked by her stepson, imprisonment from which she was rescued by an old lover, and the vicissitudes of endlessly shifting political alliances with their attendant suspicion and deceits. Along the way she converted to Roman Catholicism, joined hands with the Marathas, then with the French, and finally in 1805 forged an alliance with the British, a little after it became clear that the Sikhs under Ranjīt Singh would not prevail against English might. Her reliance on the Sikhs for longer than politically warranted was one of her few miscalculations, but even from that she recovered quickly enough. Fortuitous and timely changes in power hierarchies often worked to her advantage, but largely it was her personal charisma, military prowess, administrative and political acumen, her generosity and her loyalty no less than her reputed ruthlessness, her guile and cunning, that allowed Begam Samrū to rule more or less absolutely and "brilliantly" (a word that all her biographers have used) over her small principality.Yet her life was altogether more interesting, I think, than even the events of history that made it possible. She died in 1836, at the age of eighty-five. She left behind no personal chronicles: neither auto biography nor personal correspondence to augment and correct a history told by others. But a few paintings remain, as windows into a life lived fully by any account. They certainly don't make them like that any more, male or female. My favorite article in the latest issue of Journal of World History (on Project MUSE) is by Edward R. Slack Jr. on "The Chinos in New Spain: A Corrective Lens for a Distorted Image." Here are a few excerpts (footnotes and references omitted). Spanish galleons transported Asian goods and travelers from Manila to colonial Mexico primarily through the port of Acapulco. During the two and a half centuries of contact between the Philippines and the Viceroyalty of New Spain, a minimum of 40,000 to 60,000 Asian immigrants would set foot in the "City of Kings," while a figure double that amount (100,000) would be within the bounds of probability. From Acapulco they would gradually disperse to the far corners of the viceroyalty, from Loreto in Baja California to Mérida in Yucatan.... The majority, however, would eventually settle in two distinct zones: on the west coast in the districts of Guerrero, Jalisco, and Michoacán, and in the large, ethnically diverse municipalities of Mexico City and Puebla in the central valleys and the eastern port of Veracruz. The two zones were transversed by the most heavily traveled arteries that connected Acapulco to Mexico City (known colloquially as el camino de China) in the west; Veracruz with Puebla and Mexico City in the east; and several arterials linking the capital with Puerto Vallarta in the west and Guanajuato in the northwest. Among the scores of Asian peoples that were widely defined as chinos, in the early decades of the 1600s Japanese converts were held in high esteem by Spaniards in the Philippines and New Spain for their bravery and loyalty. In 1603 and 1639 when Chinese residents in the Parián of Manila revolted against their Iberian overlords, Japanese swordsmen distinguished themselves in combat. Without their assistance, Sangleyes would surely have made the Philippines a colony of the Middle Kingdom. Thousands of Japanese converts, traders, and ronin made the Philippines their home prior to the closing of Cipango to Iberians in the 1630s. They lived in a suburb of Manila called Dilao, with a population estimated at 3,000 by 1624. 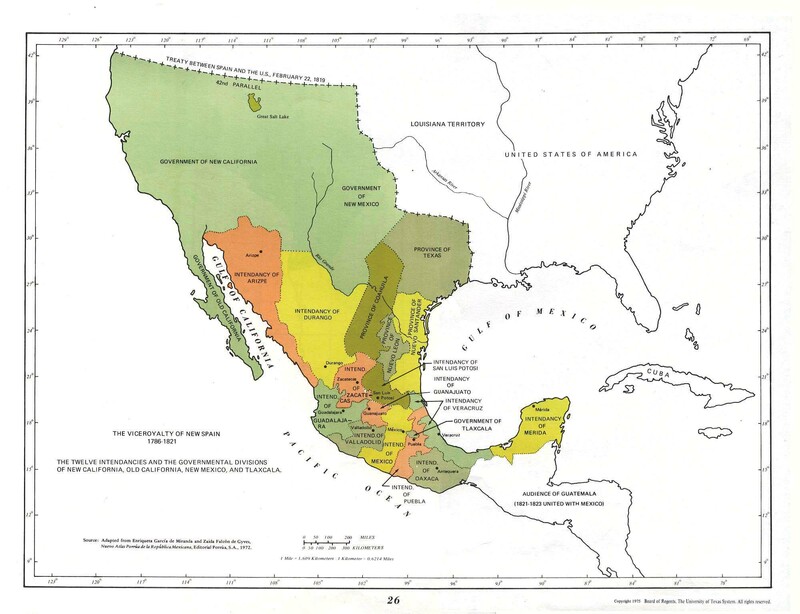 It is unclear exactly when chino militias were established on the west coast of New Spain. It is evident, however, that prior to 1729 Asian paramilitary units were routinely patrolling the regions adjacent to Acapulco. Tiburcio Anzalde, "captain of one of the militias of chinos and mulatos in the district of Atoya," discussed the duties and obligations of militiamen in a 1746 document: repeated trips to Acapulco to deliver mail and other correspondences; to clear the roads (of bandits) while on patrol; and, most importantly, their heroic role in resisting the English pirate George Anson's invasion at the port of Zihuatenejo in 1741. The latest issue of Journal of World History (on Project MUSE) contains an enlightening (to me) review by Andrew Kirkendall of a book with too broad a title, Neorealism, States, and the Modern Mass Army by João Resende-Santos (Cambridge U. Press, 2007). The author's main achievement is that he makes clear how much their actions were motivated by perceived security threats from the other two countries. He shrewdly notes that it was their own successes (Chile in its wars with Bolivia and Peru, and Brazil and Argentina in their war against Paraguay) that revealed to them how much their militaries needed reforming. Chile took the lead even before the War of the Pacific (1879–1884) was over amidst fears that war with Argentina was imminent. The author makes clear how territorial gains resulting from these wars made these countries less secure, in large part because they increased their neighbors' hostility. Argentina's unprecedented prosperity at the end of the nineteenth and the beginning of the twentieth centuries made it possible to follow Chile's example, though many Argentines distrusted Germany by this point because of its strong ties to Chile. Argentina's wealth helped make it the major military power on the continent by the outbreak of World War I. Brazil was the slowest to reform. This failure seems ironic considering the fact that the first two presidents following the establishment of the republic in 1889 were military men who were all too aware of how inadequate the armed forces were. Long-standing civilian distrust of the military and the weakness of the national government during the Old Republic made it possible for state governments, when given a chance, to make it impossible, for example, to institute obligatory military service. (Decades later, Brazil's alliance with the United States in World War II, combined with pro-Axis sympathies in Argentina, transformed the balance of power on the continent.) It should be noted that one long-term result of changes introduced by civilian governments was the weakening of civilian authority over the military. Despite its poor historical reputation, the League of Nations should not be dismissed as a complete failure. Of sixty-six international disputes it had to deal with (four of which had led to open hostilities), it successfully resolved thirty-five and quite legitimately passed back twenty to the channels of traditional diplomacy. It failed to resolve just eleven conflicts. Like its successor the United Nations, it was capable of being effective provided some combination of the great powers – including, it should be emphasized, those, like the United States and the Soviet Union, who were not among its members – had a common interest in its being effective. Remarkably, given Manchuria's role as an imperial fault line earlier in the century, this was not the case in 1931. So uninterested was Stalin in the Far East at this point that in 1935 he offered to sell the Soviet-owned Chinese Eastern Railway to Japan and to withdraw all Soviet forces to the Amur River. If the Soviets were not interested in Manchuria, it was hard to see why Britain or the United States should be, especially at a time when both were reeling from severe financial crises. On September 30, 1931, the Council of the League issued a resolution calling for 'the withdrawal of Japanese troops to the railway zone' where they had originally and legitimately been stationed. However, it set no deadline for this withdrawal and added the caveat that any reduction in troop numbers should only be 'in proportion as the safety of the lives and property of Japanese nationals is effectively assured'. Eight days later Japanese planes bombed Jinzhou on Manchuria's south-western frontier with China proper. On October 24 a new resolution was passed setting November 16 as the date by which the Japanese should withdraw. At the end of that month Japanese ground forces advanced towards Jinzhou. In early December, at the Japanese delegate's suggestion, the League Council decided to send a commission of inquiry under the chairmanship of the Earl of Lytton, the former Governor of Bengal (and son of the Victorian Viceroy). Without waiting for its report, the us Secretary of State, Henry L. Stimson, warned Japan that the United States would refuse to recognize any separate agreement that Tokyo might reach with China; in his opinion, Japan was acting in breach not only of the Kellogg-Briand Pact signed in Paris in 1928 (under which the signatories had made 'a frank renunciation of war as an instrument of national policy') but also of the earlier Nine-Power Agreement to maintain the Open Door system in China. The Japanese were unimpressed by American 'non-recognition'. In March 1932 they proclaimed 'Manchukuo' as an independent state, with the former Chinese Emperor, Puyi, as its puppet ruler – another initiative by the men on the spot which was ratified by Tokyo only after a six-month delay. A week later Lytton submitted his voluminous report, which dismissed the Japanese claim that Manchukuo was a product of Manchurian self-determination and condemned Japan for 'forcibly seiz[ing] and occupy[ing] ... what was indisputably Chinese territory'. The Japanese pressed on with their policy of conquest. They bombed targets in the province of Rehe in the summer of 1932. In January 1933 there was yet another 'incident' at Shanhaiguan, the strategic pass where the Great Wall reaches the sea. After a few days it too was in Japanese hands. A week's fighting added Rehe to Japan's domain. In February 1933 the League of Nations Assembly accepted Lytton's report and endorsed all but unanimously his proposal to give Manchuria a new autonomous status. Once again Japan was politely asked to withdraw her troops. In March the Japanese finally announced their intention to withdraw – from the League. Two months later they concluded a truce with Chinese military representatives that confirmed Japan's control over Manchuria and Inner Mongolia. It also created a large demilitarized zone running through Hebei province, which the Japanese were soon running on an informal basis. It is sometimes said that this was a fatal turning point in the history of the 1930s; the beginning of that policy of appeasement which was to culminate in 1939. But that is to misread the Manchurian crisis. It was unquestionably a turning point in Japan's domestic politics. But internationally all that had happened was that the Japanese had achieved their long-standing objective of being treated as an equal by the other imperial powers.